3. Keep the design simple. There is no need to add irrelevant words such as Tel, Email, etc. +44 7956288574 is enough if there is only one telephone/mobile number present. 4. Make sure that your name stands out and has a proper description of your function. State who you are and what you do clearly. That will clarify who you are and your expertise. 5. Design a powerful tag line. This will clarify further what you do, your expertise and your brand promise. 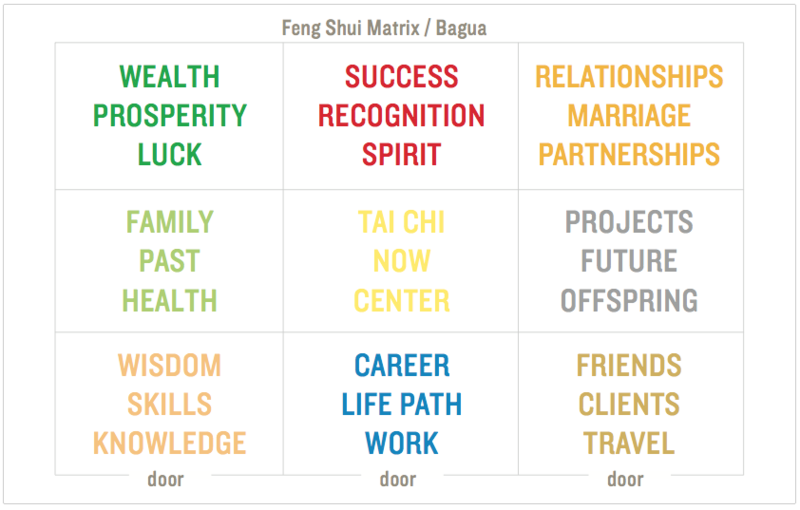 My tagline is: The Capital Feng Shui Expert. This simple tagline establishes me as the feng shui expert in London where I work and live. Obviously I have plenty of credentials and credibility after working as a feng shui expert for nearly 30 years. 6. Add QR code. This will help people to add your contact details easily to their mobile phones. Also if you leave your card on notice boards people can scan the QR code without taking your card. 7. Add useful information that will require the prospect to keep your card. For example, I’ve added bagua matrix on the back on my business card so people keep it for reference. 8. Leave some white space. Ideally, the bottom right corner of the card should have some white space so when you’re handing your card you are not covering any information. On my card (see above) I placed the QR code which is not critical for the first impression, if it’s covered. 9. Incorporate feng shui colours and shapes relevant to your business category (according to five elements). Yellow, beige, orange – earth element, square shapes – mining, real estate, psychics, nursing, education, charities. 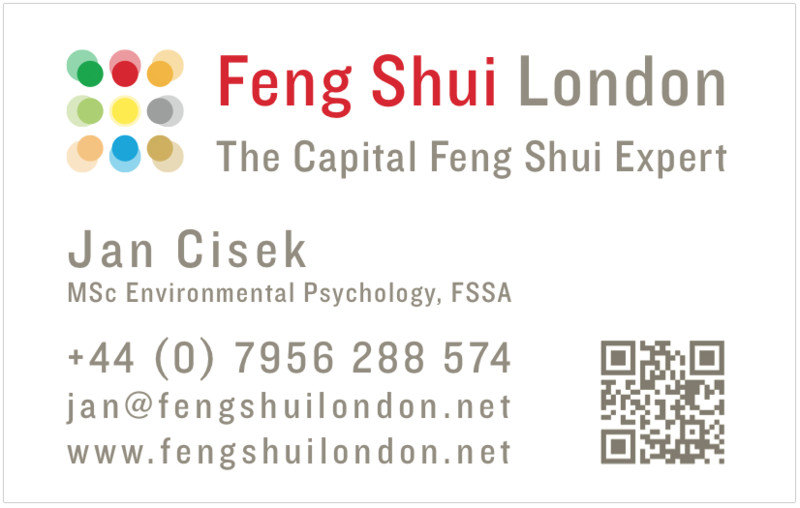 If you need feng shui advice on your business card design or logo design or branding feel free to contact me on +44 7956 288574 or email me. Why do Japan’s pensioners want to keep working so long? Short answer: to keep their business card. As you’ve discovered business cards are very important in Japan (read above). Handling business cards in Japan or with a Japanese is highly regulated by business cards handling etiquette. 2) when receiving a business card, hold it in both hands and then place it in your business cards wallet – never in your pocket, or table, etc because this is considered disrespectful. Posted in Feng shui tips for business cards.